Doreen Green’s plucky attitude gives the Secret Warriors heart and strength. 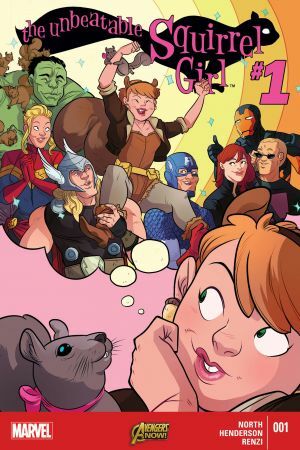 In addition to being able to talk to squirrels (and having a squirrel’s strength), she’s a computer whiz and former Avenger! 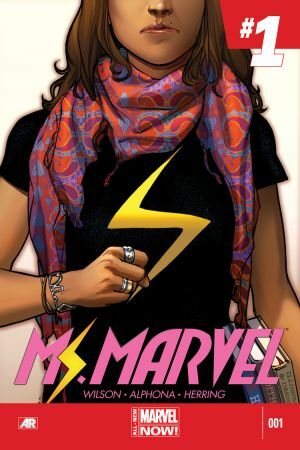 A polymorph, the inhumanly powered Ms. Marvel can “embiggen” or shrink, altering her body’s shape and appearance. 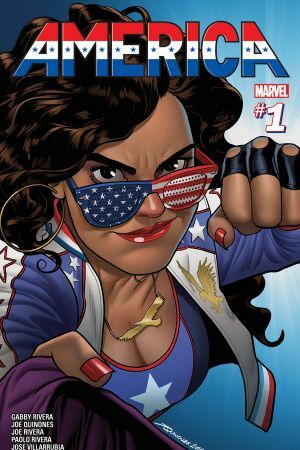 Although Jersey City’s premiere hero, Kamala still struggles to balance her home life with crime fighting. Former Air Force officer Carol Danvers serves as mentor to the Secret Warriors. 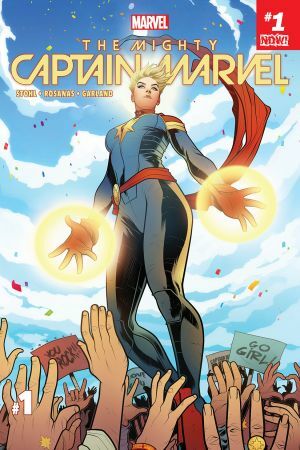 As Captain Marvel, she patrols the cosmos using her super strength, flight and invulnerability. 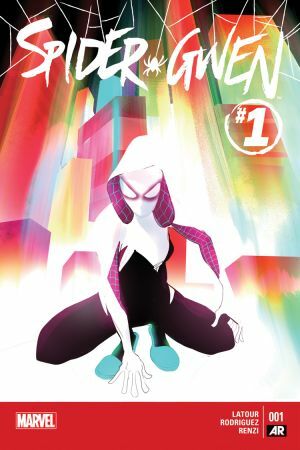 In another Multiverse, it was Peter Parker’s first love Gwen Stacy that was bitten by a radioactive spider! Learn the origin of “Ghost-Spider”, A.K.A. Gwen Stacy, as she learns the sacrifices that come with being a hero. Miss. America’s super abilities are truly one of a kind – she can punch holes through dimensions and travel throughout the multiverse! 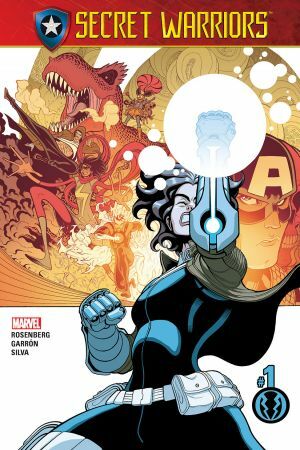 Meet Daisy Johnson! With her ability to cause and create earthquakes, Quake knows how to really shake things up as leader of the Secret Warriors! Meet Inferno in this issue too! Rayshaun Lucas is Patriot! As protegee to Sam Wilson (A.K.A. 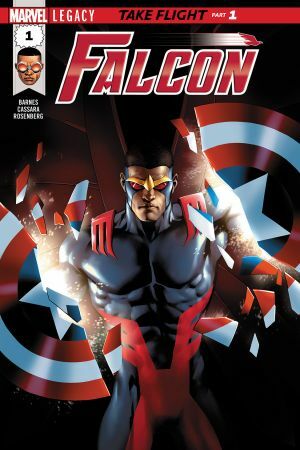 Falcon), Patriot earns his wings as one of Marvel’s newest and youngest heroes! Team transport! 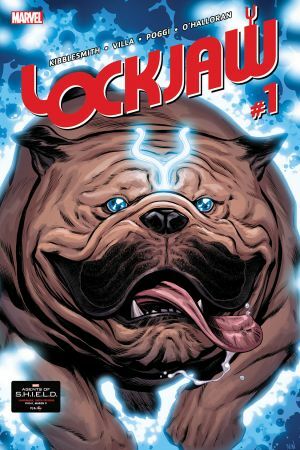 Inhuman teleporter Lockjaw is a member of the Inhuman Royal Family, serving as a loyal companion. He resembles a giant bulldog.